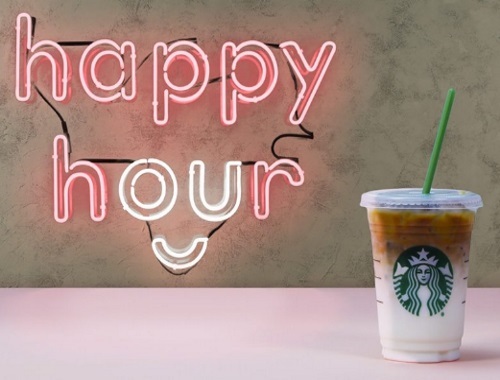 Starbucks Happy Hour is back, and this time it's little different! Make the most of your afternoon - invite your friends - and sip sip! Enjoy 50% off any Iced Espresso Beverage. Offer is valid Thursday April 12, 2pm–close (in your time zone).